Madeira - The Garden Island. 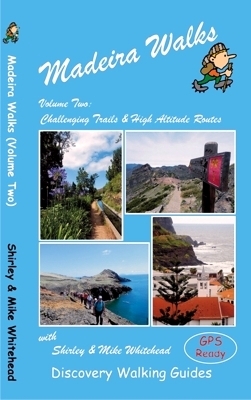 For a popular holiday destination Madeira is unusual in not appealing to the general beach holidaymakers. Beautiful gardens, spectacular scenery and a tourist industry still based on visiting cruise ships, appeals to a more mature and discerning type of traveller. Forget the massed hordes of tattooed tourism and indulge yourself in a genteel vacation which reflects the 'old world' charm of the island. 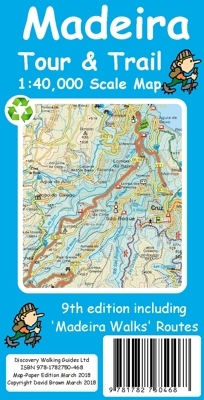 DWG have a complete range of Maps and Books for your adventures whether you are walking/hiking, driving by hire car, or riding Madeira's bus system. Everything you need for a memorable holiday on the 'Garden Island' set in the Atlantic Ocean. 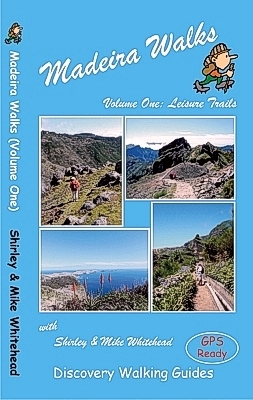 GPX waypoint files for gps users of Madeira Walks volume 1 & volume 2 are available as free zip file download on our gpxDownloads web page. For first time visitors to Madeira a few key points can change the whole nature of your holiday. 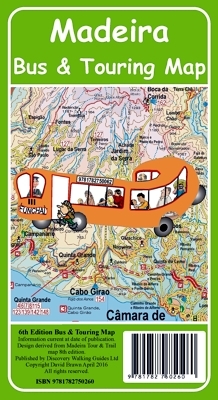 Where you stay is important as anywhere outside of the capital, Funchal, will be quiet and relatively isolated. Choose accommodation in the hotel area along the Estrada Monumental for the best value 3 & 4 star hotels. Further out of town the hotels get a little isolated, while closer in to Funchal is the elegant (and expensive) Reids. Take care choosing your hotel and you can combine easy access into the capital with getting out into the local countryside using the local bus services. If you are planning to tour by hire car then do check that your hotel/apartments have adequate car parking - at the Monumental Lido there is a guests parking garage under the hotel. see the 'Conversion Table for your walking routes'. 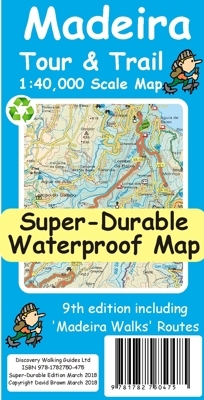 Unsure about DWG books and maps? Email us with your thoughts and ideas.